Viral suppression, a critical component of HIV care, is more likely when individuals initiate antiretroviral therapy (ART) early in disease progression and maintain optimal levels of adherence to ART regimens. Although several studies have documented the negative association of depressive symptoms with ART adherence, less is known about how depressed mood relates to intentional versus unintentional lapses in adherence as well as the mechanisms underlying this association. The purpose of the current study was to examine the association of depressive symptoms with ART adherence, assessed as a multidimensional construct. Secondarily, this study conducted preliminary indirect path models to determine if medication self-efficacy could explain the depressed mood-adherence relationship. Depressive symptoms were not associated with 95% ART taken, self-reported viral load, deliberate adjustments to ART regimens or skipped ART doses. However, the indirect association of depressive symptoms via decrements in medication self-efficacy was significant for 95% ART taken, self-reported viral load and skipped ART doses, but not deliberate changes to ART regimens. 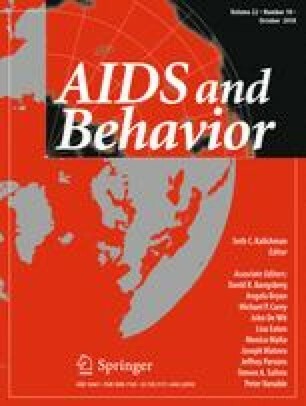 In this sample of HIV-positive outpatients, there is evidence to support medication self-efficacy as a potential mechanism underlying the association between depressive symptoms and ART adherence. Additional longitudinal studies are needed to formally examine medication taking self-efficacy as a mediator. A correction to this article is available online at https://doi.org/10.1007/s10461-018-2158-6. There is no associated funding for this study.